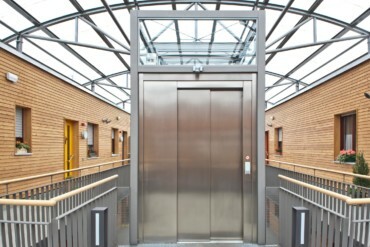 Schindler energy-efficient elevators have been installed as part of the modernization of Dortmund’s Grotekamp estate. 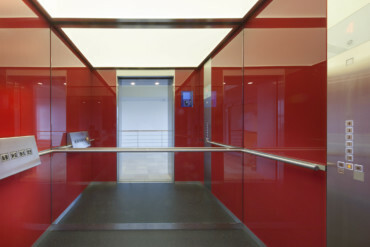 A small air bridge in the new structure leads to the glazed elevator. Thanks to the transparent front tenants enjoy a panoramic view from the upper floors. Located in a leafy spot just outside Witten, the Grotekamp estate in Dortmund was built back in the end of the 1960s and offers tenants attractive affordable homes at Grotenbach. 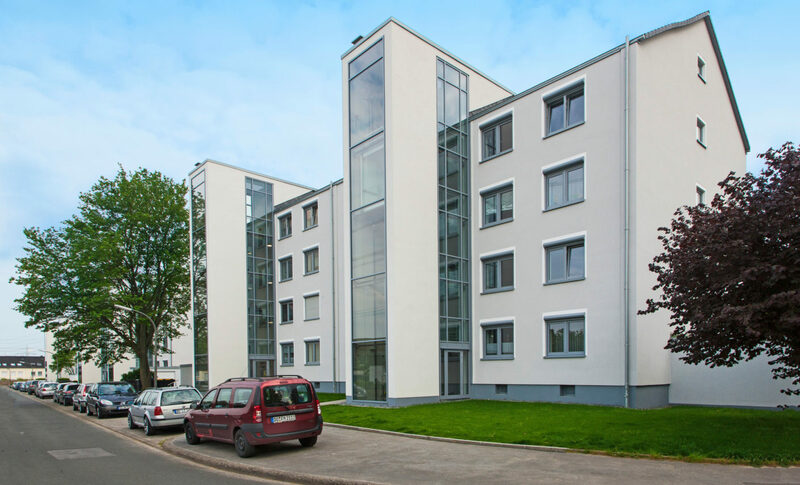 In order to be able to offer these benefits in the future the nonprofitmaking housing association GWH Hombruch-Barop recently modernized the buildings. 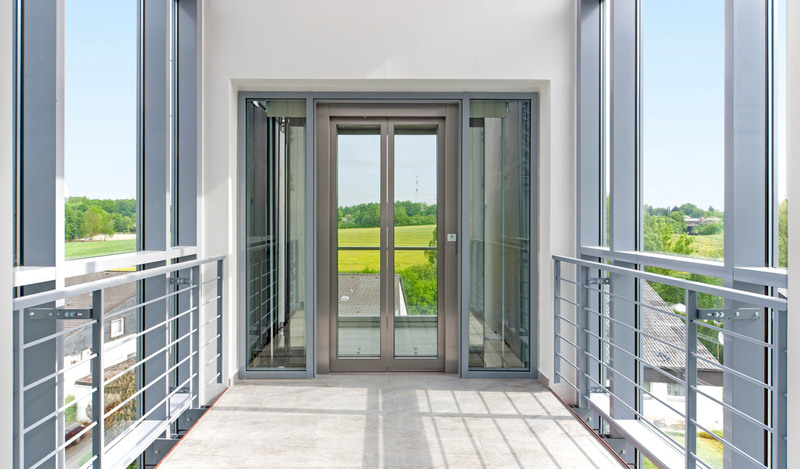 As part of the process, elevators were installed in the multiple four-storey dwellings of the housing scheme so typical for the Ruhr region. “We wanted to achieve greater comfort, better energy efficiency and an environment with few barriers,” explains Dirk Scheffler, the architect of the project. The idea: to make the estates attractive again in particular for senior citizens and families. Continuing the glass surfaces through to ground level makes the structure appear lighter and more slender. 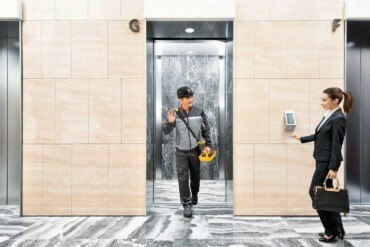 Schindler model 5500 elevators were chosen, which not only boast a stylish design but also feature energy-saving LED lighting. They are housed in a new structure added to the facade and the generous glass surfaces ensure the entry of ample daylight. Moreover, continuing the glass surfaces through to ground level makes them appear lighter and more slender. 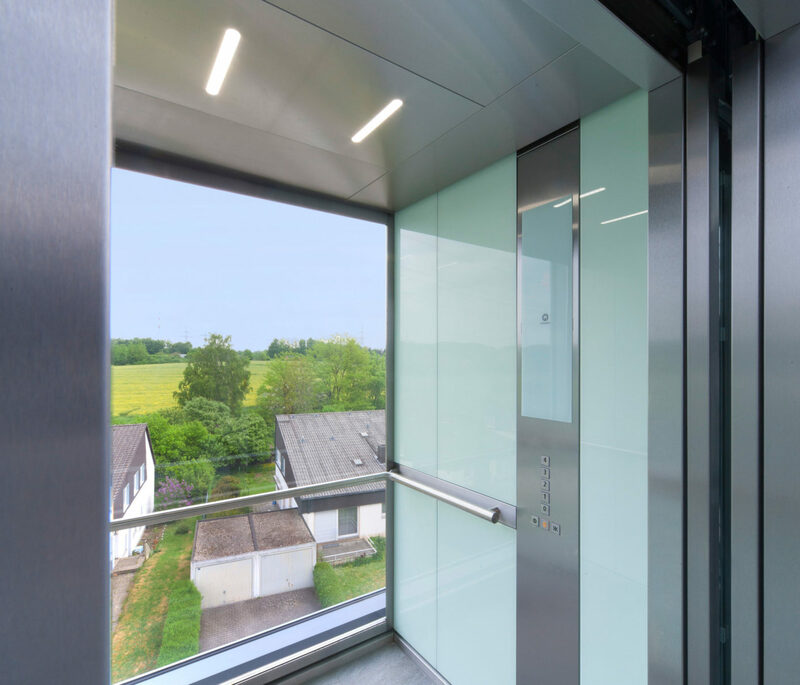 A small air bridge in the new building leads to the glazed elevator, and thanks to the transparent frontage tenants can enjoy a panoramic view of the nearby rapeseed fields from the upper storeys. 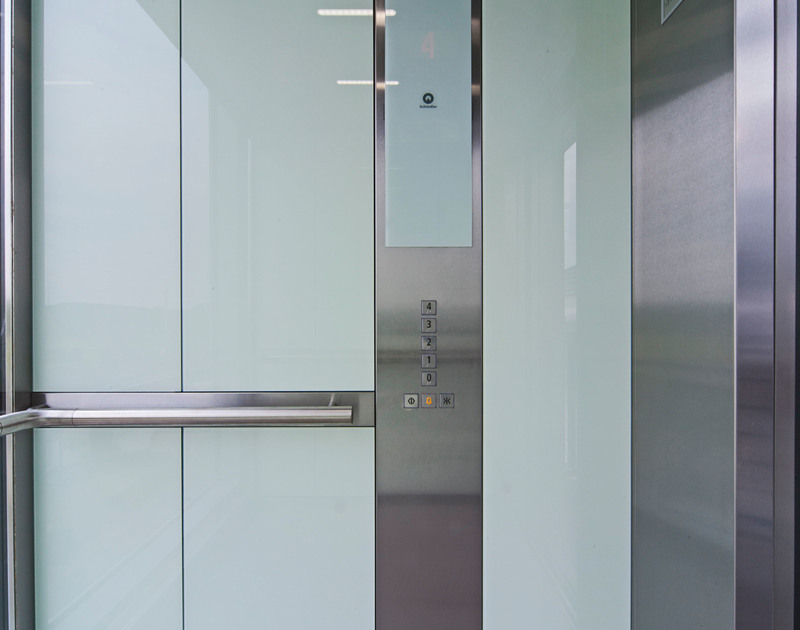 The Schindler 5500 model was installed in the building, an elevator offering energy-saving LED lighting. 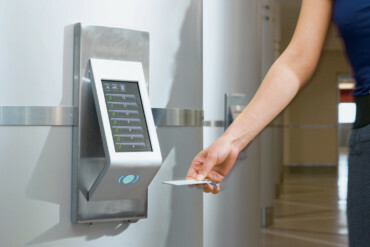 The Schindler 5500 offers numerous design options. For the Grotekamp estate glass with a white background was chosen, which makes the elevator cars appear light and sophisticated.